A patented continuous cable loop system connects with each cable handle. 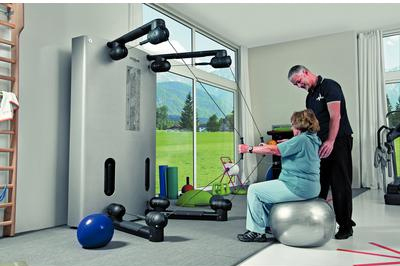 The design allows you to move freely with minimal interference with the body, especially in push movements. The handle is always ready for use and does not require any prior setting or adjustment. This allows users to start their workout and enjoy the Kinesis experience immediately. Width: 1405mm. Height: 2120mm. Depth: 1650mm.